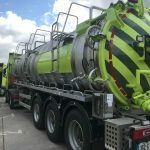 Lehane Environmental operate a large fleet of articulated suction tankers enabling efficient safe transport of wastes from site to disposal facilities. Our fleet includes ADR Tankers approved for the carriage of Dangerous Goods (Class 8, 3, 6.1, 9, ). 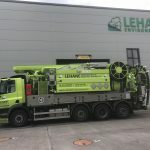 Lehane Environmental operate Articulated Combination Units which are capable of suctioning and transport of large volumes of waste as well as providing the washdown of the tank vessel etc. Our ADR Combination Units provide for the deeplifting of hazardous sludges and wastes. 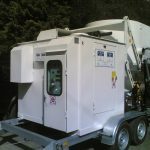 The units are equipped with High Pressure Jetting Units suitable for the pressure washing of vessels, tanks, sumps etc. 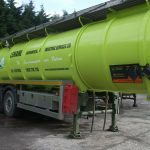 Lehane Environmental have a large fleet of UN Tanks (ISO Tanks) approved for the carriage of Dangerous Goods (Class 8, 3, 6.1, 9, ). 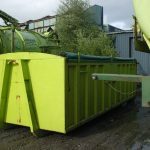 The units are available for either storage on-site, transport in Ireland or export to overseas waste facilities. Lehane Environmental operate 2 ATEX Camera Survey Units. The units are particularly suited to surveying lines in the Pharmachem and Petrochem Industries where ATEX Certification is a particular requirement. 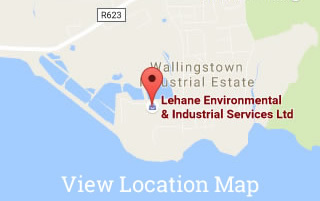 At Lehane Environmental, we employ methods for liquid waste separation and waste minimisation that ensure industrial effluents to be consigned off-site are kept to an absolute minimum. 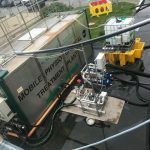 This highly specialist unit which was developed by Lehane Environmental in conjunction with overseas partners can handle a wide variety of applications from Oil/Water separation, neutralisation of acids/bases and other dosing treatments. 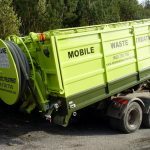 Hookloaders Roll-on Roll-off Sludge Bins, Contaminated Soil Bins etc. Lehane Environmental operates a number of ADR Certified hookloaders for the transport of waste and equipment. 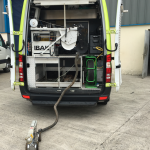 Our hookloader attachments include; self contained vacuum tanks, contaminated waste bins, sludge bins, contaminated soil bins and plant/equipment delivery. 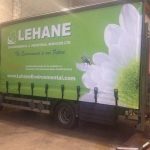 Lehane Environmental operates a number of articulated curtainsiders approved for the carriage of dangerous goods under the ADR Regulations. Wastes transported in curtainsiders include Asbestos, Drums/IBCs/FIBCs containing a range of Toxic, Flammable, Corrosive Substances etc. For small collections, we can use our rigid curtainsider unit. This unit has a rear tail-lift to allow the loading of waste where a forklift is not available. 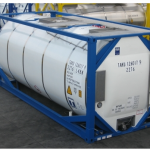 It is certified for the carriage of dangerous goods under the ADR Regulations. The removal of powders, dusts, resins, catalysts etc can be a significant headache for health & safety managers. 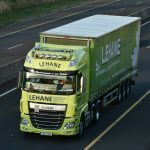 Lehane Environmental can however solve this headache. 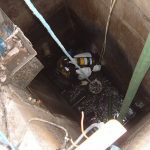 Safety of our personnel, besides being a legal requirement is of paramount importance to our Company. Our operators are highly valued within our organisation and all procedures and equipment is made available to our operators to ensure the protection of their health & welfare.